The grand prize winner of our #WinADrone contest on Instagram is @teamcatchemall! He will be receiving a Syma X5C-1 remote control quadcopter and 3 Hoo-rags of choice!! Not you? Maybe you made it on our list of runner-ups. The following will each win a Hoo-rag of choice @street_chaos, @szweb1994 and @kelsomcm. Congrats to all our winners – we will contact you shortly! 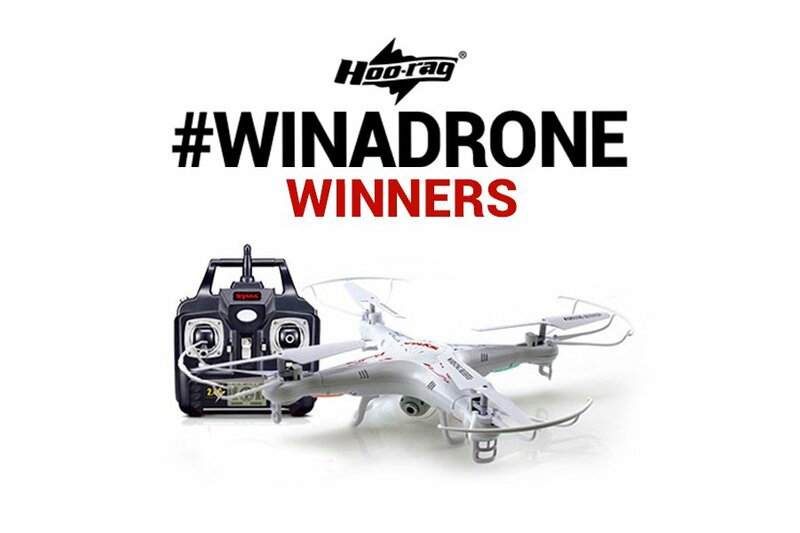 And don’t be too bummed if you didn’t #WinADrone, we’ve got another chance to win comin’ at ya soon!